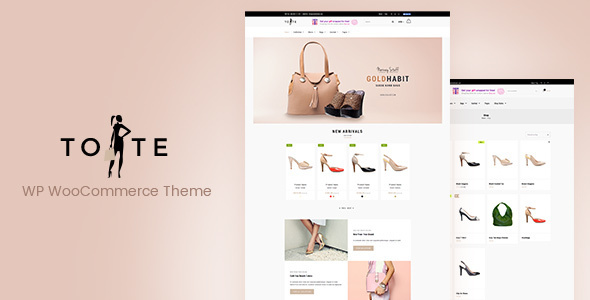 Tote theme above all is expressly indicated for your e-commerce initiatives as a theme of choice because itâ€™s focus is on online sales and it achieves that directly in homepage itself! You donâ€™t need separate slider Plugins as Unyson comes with 3 built in sliders for images and video. Moreover, you can create amazing mega menu to display your menu configurations as a dropdown. In addition, using Unyson, you can create dynamic sidebars, filtering animations in portfolios, forms, breadcrumbs, SEO analysis, feedback and event management functions without opting for those Plugins! It helps you to automatically create CSS from your fields. All this in real time while you preview the changes via the customizerâ€™s preview instantly. Using the automatic post-Message scripts creation! Everyone talks about content and how important it is to have engrossing content. The key to retaining visitorâ€™s interest in your site is engrossing content. How to build contents that let your visitor stay on your a site for longer time? In Tote theme, we have incorporated the Slider Revolution Plugin. Therefore, creating content using these animated content creation tools, would ensure your site will have an edge over the other sites. Includes Visual Composer premium addon elements like Icon boxes, model Popups, Info Box, Interactive Banner, Flip Box, Info List & Counter. Best of all â€“ provides A Font Icon Manager allowing users to upload / delete custom icon fonts. Parallax, Video Backgrounds, Row effects, CSS3 animations, icon fonts and much more! WooCommerce is a free eCommerce plugin that allows you to sell anything, beautifully. Built to integrate seamlessly with WordPress, WooCommerce is the worldâ€™s favorite eCommerce solution that gives both store owners and developers complete control. The WooCommerce Plugin would enable you to sell online and receive payments in multiple currencies as soon as your site is configured! This Wishlist is one of the most useful features of an e-commerce site. On one side, it encourages users to come back, allowing products tracking they consider interesting until the purchase step. On the other, if users share their Wishlist â€” to friends, or through social networks â€” this will enhance the sales and will help the promotion of your online business. Regenerate Thumbnails lets you regenerate the thumbnails for your image attachments. This is particularly useful if youâ€™ve changed any of your thumbnail dimensions. Or had changed to a new theme with different featured post image dimensions. You can either regenerate the thumbnails for all image uploads, individual image uploads, or specific multiple image uploads.